Show page. Listen to some of his music here on Deezer or Spotify. Listen to today's episode on the show's page (I couldn't find the embed code...). Our guest today was Pascal Nègre, CEO Universal Music France. Great concert last night in Paris, at Palais Omnisport de Paris-Bercy (POPB): some young rappers came in first, then a ravishing Cheryl Cole (dancing sucked though, and music is not my taste), followed by the Black Eyed Peas. Wow. Not my best concert ever, I enjoyed much more a Moby concert 2 years ago in a smaller venue, but great. The place was absolutely packed (sold out in 3 hours in February for a concert in June !). Showmanship was great (although slow to start : I sat down before 7pm, and their part didn't start until 9pm), light effects, special effects (a flying motor bike, an elevated podium for will.i.am), OK costumes, light choreography. Their music is strange : they range from lovely ballads, to pop, to classic ,to hard rap... Kids and elder kids were dancing their minds away, and I couldn't film steadily, with the whole floor moving underneath me. The best part ? The absolutely awesome Will.I.am transformed the place into a giant discotheque for about 10-15 mins. That dude knows how to light up a crowd incredibly ! (I have a video of that, will upload later). Amusing how Fergie changes her style from black leather space queen to lavish & glamourous dress and high heels - nice. I only missed the piece that made me really appreciate them: the remix with Sergio Mendes "Mas que nada". The sound was over-saturrated and subpar I'd say for their performance of "Shut Up". Check their clip, so much better. I appreciated the fact that they introduced and thanked each dancer, and each musician at the end. I see that less and less and it was a nice touch as will.I.am was singing their names. All in all, whenever Will.I.am or the B.E.P. are performing, check them out. They have great showmanship, and you'll have a great time. Some pix from last night and the last song on tape, just before they started thanking the team. With the explosion of online music (anyone has stats or reports on it ? ), I've never listened to so much music. 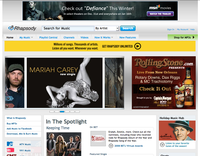 - or search for an album on Rhapsody if you subscribed to the service. But the search was cumbersome : you would only play music you knew about. Discovery of new music was poor. The recommendation engines were lousy. Apple just came out with Genius on iTunes to help this specific point. Then came the revolution of social music, that requires active listening. 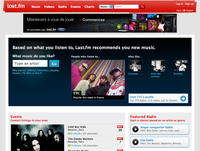 - first in the game: last.fm. you would start listening to music played according to your tastes. It would learn from you noting music UP or DOWN. Pretty slick interface, available everywhere (widgets, iphone, etc.). But at times you would always listen to the same thing. Then they came up with playlists from your friends. Nice, but somehow I never got hooked onto that. 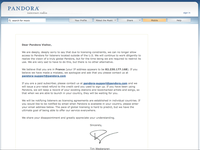 - Pandora tried to offer the same approach of playing music according to taste patterns, in a mathematical way with the Music Genome project. But they remained restricted to the US, and launching a VPN to the USA became quickly cumbersome. - Spotify took the same approach, but with an installable client. Great quality, large selection. It basically competes for free vs. itunes : listen to ll you want, with a day pass for example. My interface of choice today when I want active listening of specific artists. - Jamendo came into play with the largest creative commons selection of indie music : for free, listen to alternate music. Playlists there too. But what if you want to listen to music in a passive way ? 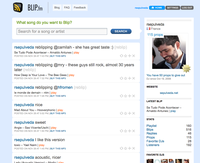 - one of the latest hists online is blip.fm : your friends play music, you subscribe to what they like or unsubscribe. You can give them ratings (props), they prop you, you reply to each other. Twitter for music. a great service to play DJ for a few hours. But it is still immature : search engine is lousy, no categories, no comments, selection is not as good as spotify, etc. Nevertheless, the social part of it is absolutely great. A current favourite. 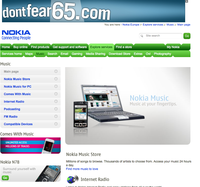 - Jiwa.fr is another choice : they have a selection of radios, the quality is nice. But doesn't really have the social feature to stick. - yes.fm in Spain looks very much like deezer.com or Spotify. - the latest addition to the scene is awdio.com : you can listen to over 100 clubs in the world streaming a nice selection. You don't know what they are playing though, but no ads so far. It's like listening to thematic radios, but with better taste, and no real billboard music, which is good. I like the Alcazar and Hotel Costes channels. - while in the meantime you can listen to normal radios on your phone with either visualradio, or with a data plan, to any of those internet services if not today, certainly tomorrow. Ditto : all these services should come to IP TV as well, and to internet connected devices such as the liveradio, fonera, etc. - music has become free : you can listen to any song directly on portals without needing to go to P2P services to find them. You have access to a much larger selection of content than before, so the discovery process (either editorial, or by your friends) is greatly enhanced. Social tools bring in a new dimension to the emotional component of music (rating, comments, playlists), and make it fun again to listen to the radio. - none of the services above is yet 100% excellent (features, ubiquity, selection, quality), but they are getting there. That's why still need different services everyday.
. clearly in-stream advertising is a no-no. I don't want that back in my music. And I don't look at the ads on the pages or services. So that doesn't work.
. most services offer an option to buy the music. With a conversion rate of 1% maybe (I haven't done the maths), I'm not sure it works or not. I don't buy the music if I can add it to a playlist and play it again on any device (since I'm always online). So transaction is out.
. subscription: I might go for this. I am willing to pay for one or two of these services because they bring a lot of value to the market. I would pay for a service that has a great UI, a nice community, great selection, great quality. But there is no room for a gazillion players here. And definitively since at least someone else will offer a free selection, the costs incurred by these services should be low, so that I only pay a low price point.
. Some bands have started offering their music for free online : Barbara Hendricks did that with an album on believe.fr, Gun n' Roses recently; and asked for donations. That might work if you are a fan. So, the business model for online music is a complicated one. It definitively adds a lot of value to many people, that shoudl understand that they need to support both the services and the artists so that they keep enjoying the service. Seth Godin wrote that exactly yesterday : you don't know what you've got until it's gone.